Barcelona coach Tito Vilanova has bared all in Ser del Barca, the annual dedicated to the club’s heritage, and admitted he would never take charge of arch-rivals Real Madrid. The literary work includes footnotes by several illustrious figures tied to the Camp Nou outfit’s history, and Vilanova ensured he endeared himself to fans with his recent declarations. “Coaching Real Madrid is one of the three things I would never do in football,” the 44-year-old, who is presently undergoing cancer treatment in New York, is understood to have said. 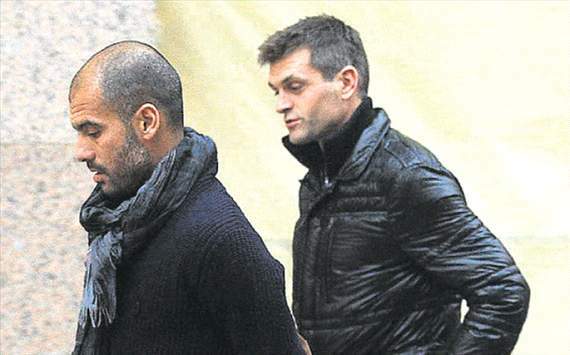 Future Bayern Munich coach Pep Guardiola also gave his testimony in the book, saluting Barca’s fans for their dedication in supporting the club. “The club is not only about the players, or the president,” the Spaniard acknowledged. “More than anything, it is the people who come to watch our games, the old men sitting in bars playing dominoes and talking about Barca. Guardiola enjoyed a trophy-laden spell in charge from 2008 to 2012, sweeping up 14 domestic and international club honours.